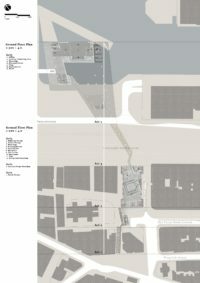 Related Staff : Chang, Wallace P.H. 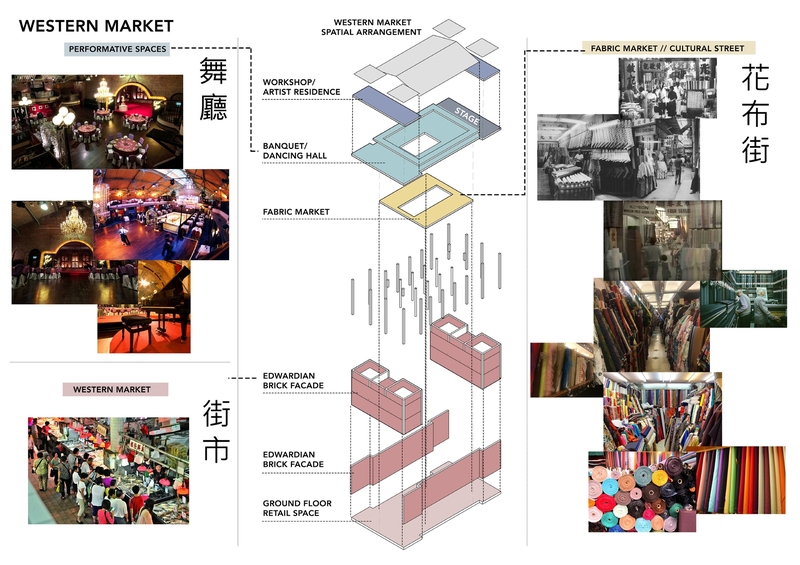 Relating to the surviving memory of the city, the specific site of the historical Western Market with a relevant open plaza is selected as the anchor of the old district of Sheung Wan/ Central where urban renewal / regeneration has been taking place. 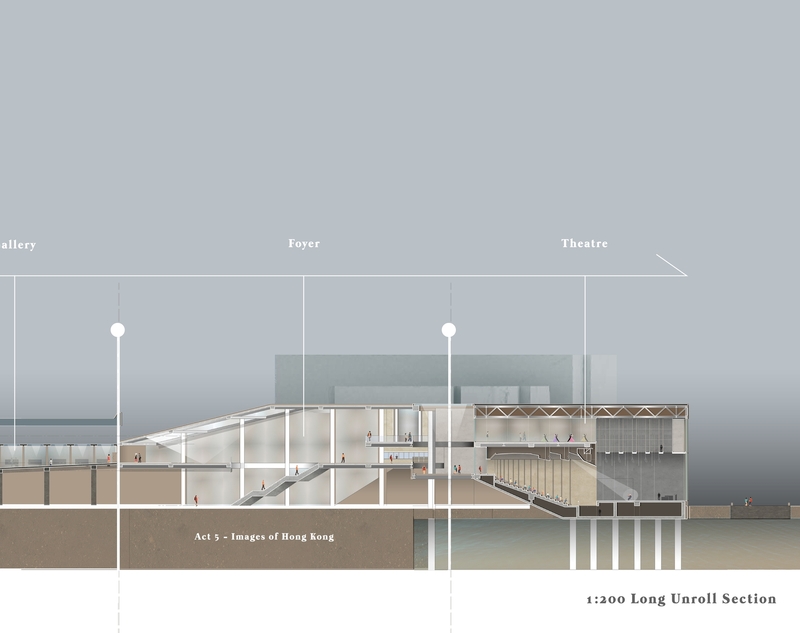 ‘The Hong Kong Memory’ Project has collected and archived significant facets of the city from a grass-root instead of an official perspective. 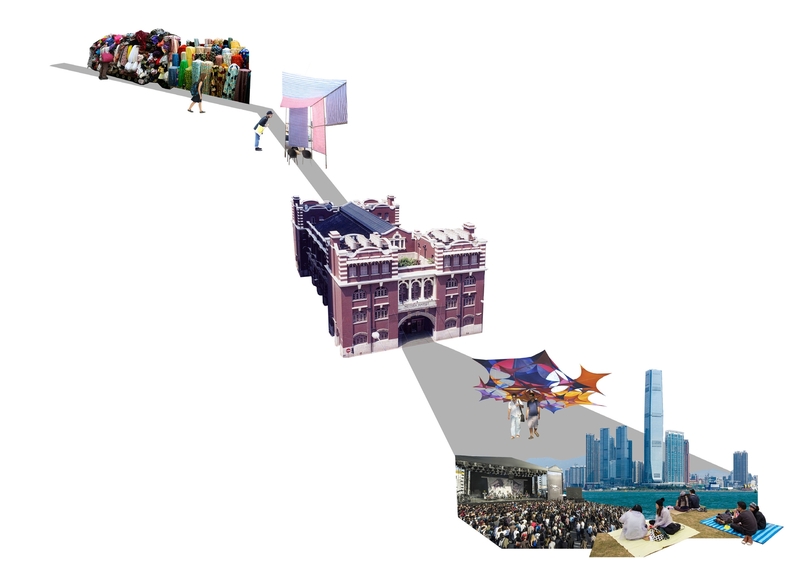 With its approach of understanding the city through the lens of ‘local’ and ‘everyday-life’ stories, it is meant to share, evoke and articulate Hong Kong people’s memories.’ Also, it is envisaged to enrich Hong Kong people’s sense of place. 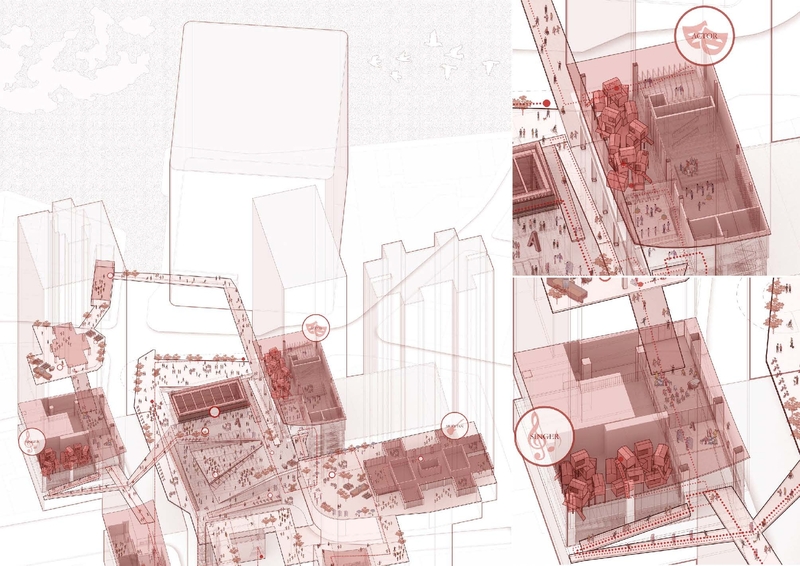 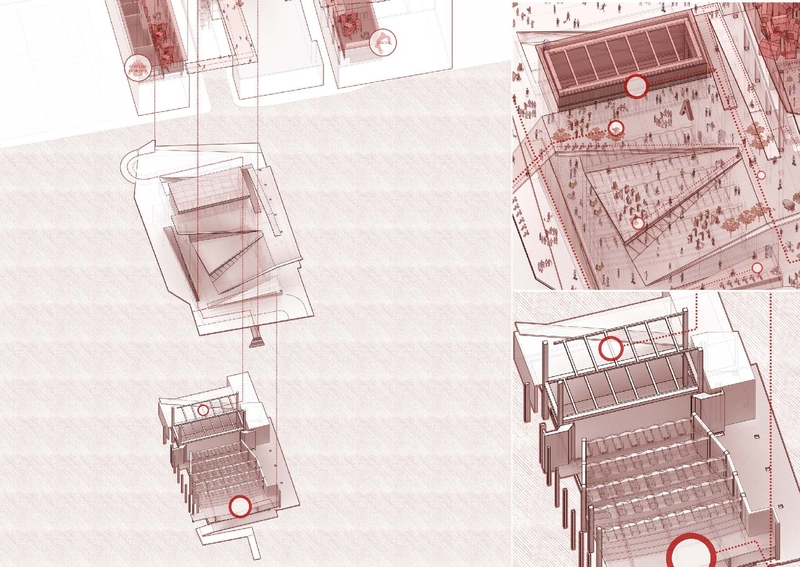 In order to anchor this online archive onto real places, its physical manifesto calls for an architecture that is essential yet critical to translate these audio-visual memories into tangible spatial containments. 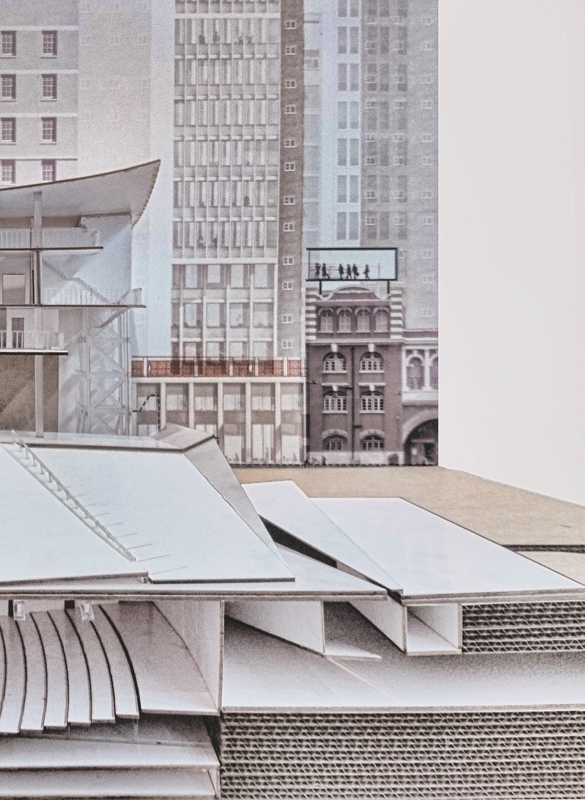 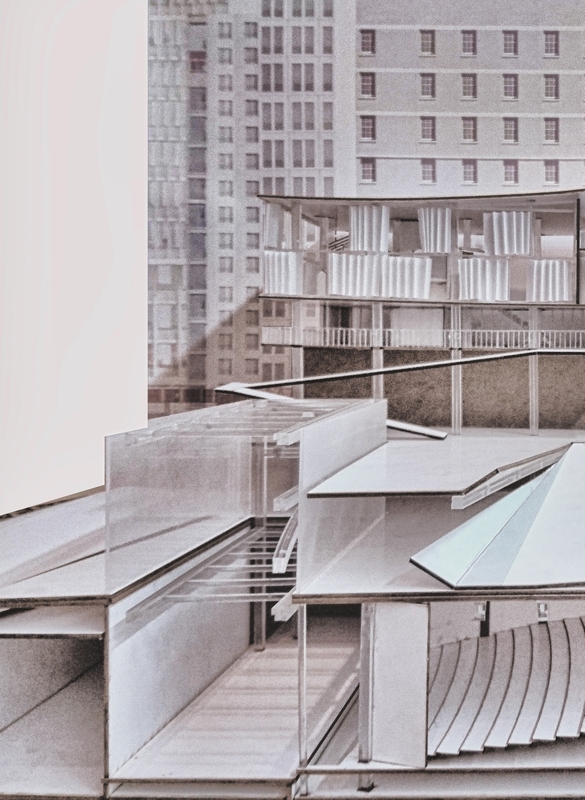 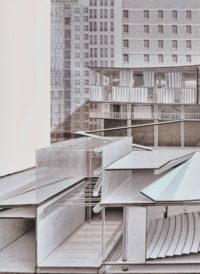 As a threshold to allow the communities to appreciate their own past, the architecture should bring forth a vivid and lively interpretation of the Hong Kong Memory [or an essential aspect of the collective memory, e.g. 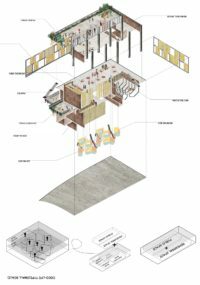 communal life, performing, eating, etc] that is relevant to their current conditions. 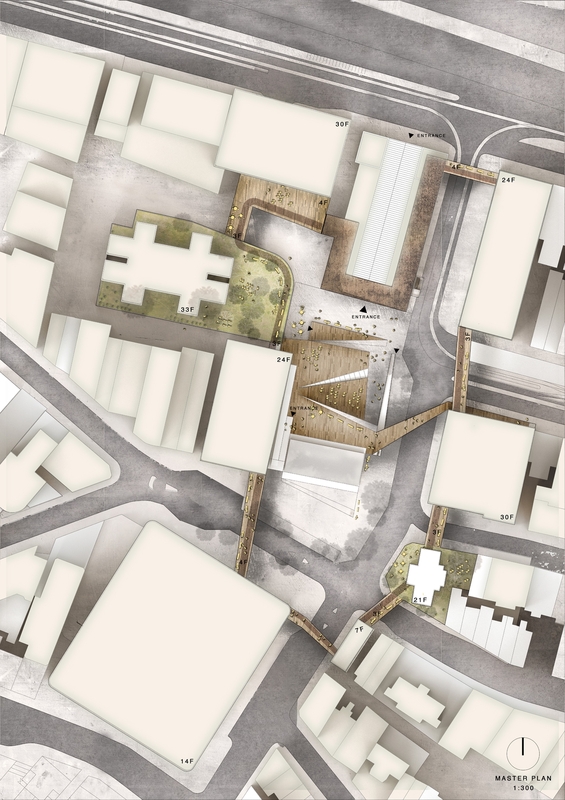 This interpretation of ‘Reclaiming Central’ is to arouse empathetic inputs and inspire further creative responses. 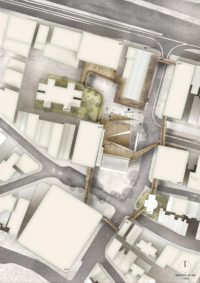 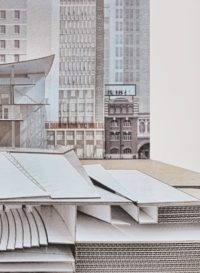 In this connection, there should be a strategy of memory, not to arouse nostalgia but ‘to guard against collective amnesia.’ The derivative of this strategy is to localize the past and to reflect the present, so the architecture is toned to reclaim Central through a ‘performing’ environment. The studio is a research-based design laboratory with collaboration of Zuni’s ‘Freespace Tech Lab Education Program’. 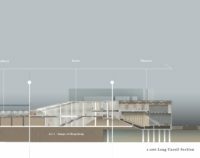 The exploration is intended to develop a model for community-based theatre/venue with a ‘living’ component [as realistic and financial considerations]. 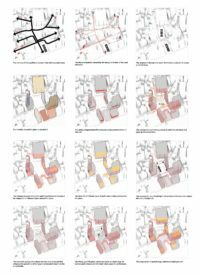 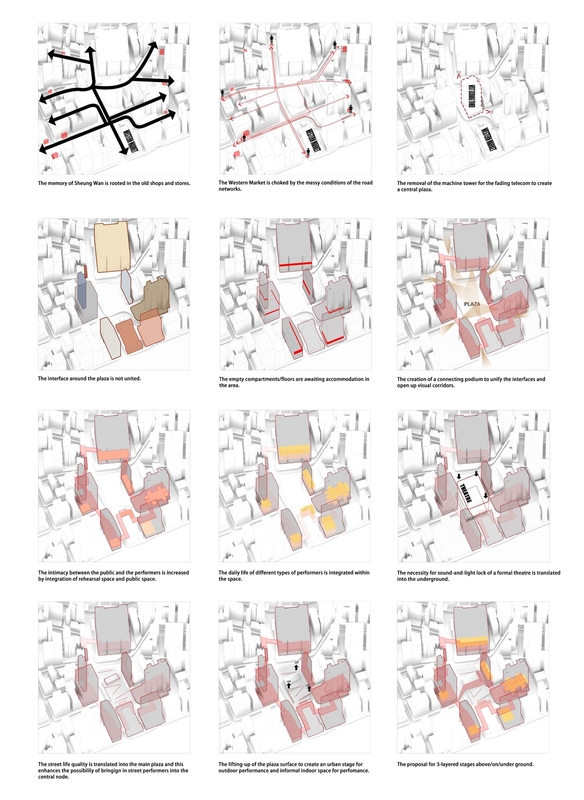 The agenda is to create a feasible urban scenario with cultural and communal overlays where ‘micro urban regeneration’ can happen in real place to conserve as well as to continue the local flavor of Hong Kong Memory. 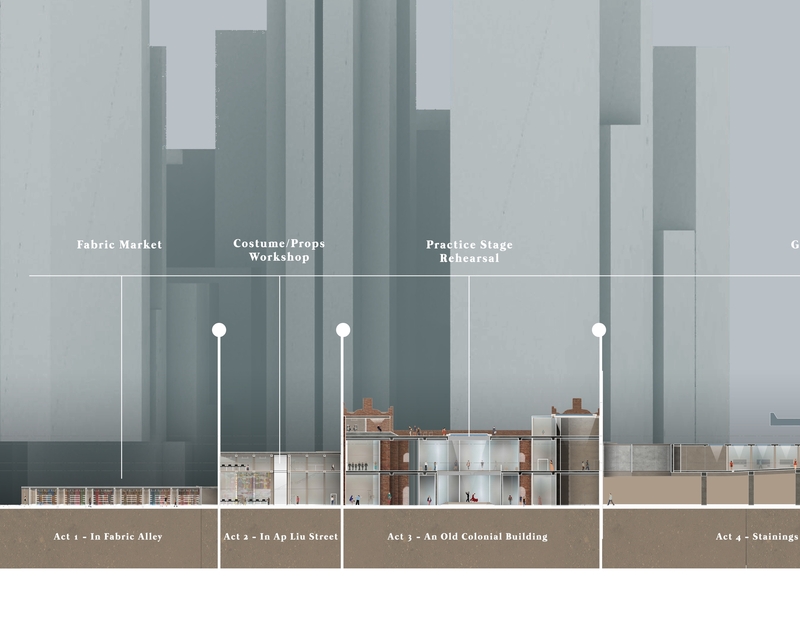 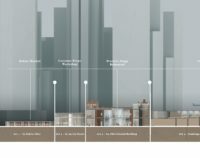 The approach follows a 3-stage design development, namely, scenario setting [from object to subject], spatial configuration [from subject to space], and architectural articulation [from space to construct].